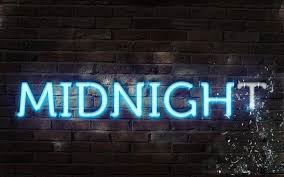 “2 Midnights” Rule: What it Means for Home Health Agencies? The Centers for Medicare & Medicaid Services released its controversial 2 midnights rule in the 2014 Medicare Inpatient Prospective Payment System (IPPS) final rule. Under the 2 midnights rule CMS has set both a benchmark and a presumption for when an inpatient satay would be considered appropriate. If the inpatient stays spans two midnights, CMS will presume that the stay is reasonable and necessary. In addition, admitting clinicians can use the 2 midnight stay as a benchmark in determining when it is appropriate to admit a patient as an inpatient rather than keeping the patient in an outpatient status in an observation unit. With this provision, CMS intends to decrease the number of extended observation stays, while decreasing the number of short inpatient stays (less than 2 midnights) billed under Part A that should be billed under Part B as outpatient services. Extended observation stays have a negative impact on beneficiaries since they require a 20 % co-pay for the service and do not count towards the 3 inpatient day stay required for Medicare coverage skilled nursing facility (SNF) admissions. Payments to hospitals for inpatient services provided under Part A that should have been provided as outpatient services billed to Part B are considered Medicare overpayments to the hospital. CMS will permit physicians to apply the time a patient spends receiving outpatient services, such as an observation unit, to count towards the 2 midnights stay when considering whether to continue services as an inpatient. However, the count for a formal inpatient stay begins with the physicians order for an inpatient admission, and does not include time the patient spent receiving outpatient services. Therefore, only the time the patient actually spends as an inpatient will count towards the 3 day inpatient stay requirement for a SNF admission. CMS will instruct medical reviewers to not focus on inpatient admissions that span greater than two midnights, since these stays will be presumed to be appropriate. Inpatient stays that span are just two midnights will likely be reviewed to ensure appropriateness of care and that hospitals are not gaming the system. Medical review will be more intensive on claims with inpatient stays that span 1 or less midnights to evaluate whether the services are appropriate to be billed as inpatient services under Part A. If an inpatient stay that has been billed as Part A is determined that it should have been under Part B, claims adjustment will be made and the hospital will receive a lower reimbursement rate for the care, in addition to having to collect any co-payments due from the Medicare beneficiary. So what does all this mean for home health agencies? Well, a lot will depend on how hospitals respond to the 2 midnights provision and the strategies they develop. A hospital that has a high number of short inpatient stays might adjust their admission policy to increase their observation stays. Conversely, a hospital that has a high number of lengthy observation stays will want to review their admission policies to increase the number of patients that are treated as inpatients. If hospitals have shorter observation stays there will likely be less outpatient physical therapy (PT), occupational therapy (OT), and Speech Language Pathology (SLP) services provided by hospitals that fall under home health consolidated billing rules. In other words, therapy that was provide as an outpatient would now be provided as an inpatient, the hospital claims will process and agencies will not be pressured to reimburse the hospital for denied therapy services. On the other hand, if a hospital increases observation unit admissions, agencies could see more bundled therapy being provided. However, even though the observation stays might be more frequent, the length of the stays will be short in duration. Further, agencies are not required to reimburse the facility for bundled therapy if there is no arrangement with the facility to provide the service. For hospital inpatient claims that are denied under Part A and billed to Part B, CMS, in the final rule, agreed that PT, OT, and SLP services could be billed as an InpatientPart B claim. The National Association for Home Care & Hospice is waiting to hear from CMS regarding whether therapy billed on an InpatientPart B claim will paid if the patient is under a home health POC or will the hospital claim be edited against the home health agencys claim and be denied? Another outstanding question is how agencies are to treat hospital transfers for the purpose of completing the OASIS. Regardless of how hospitals react to the 2 midnights rule, it is expected that there will be an increase in the number of patients that are initially admitted to outpatient observation that will be admitted as inpatients during the hospital stay. Agencies are required to complete the Transfer and Resumption of Care (ROC) OASIS whenever a patient is a hospitalized for 24 hours or more, for reasons other than diagnostic testing. Agencies will most likely be required to complete the transfer/ROC OASIS if the patients status is changed from observation to inpatient. In addition, a transfer/ROC OASIS is only required if the inpatient status is greater 24 hours. Tracking the status of these patients could prove to be a challenge for agencies. Currently, the majority of patients admitted to observation units remain in observation until they are discharged from the facility. Click here to view the final IPPS rule and to learn more about the 2 midnights provision.